Things Millenials love: Latte art competitions, varieties of toasts, and lots and lots of plants. If any of those small pleasures deserves its widespread adoration, I would say the obsession with greenery makes the most sense. Owner of Land of Alice, Alicia Fernandez, has had a large love for nature and plants most of her life. Working as a graphic designer while living in a small one bedroom apartment, she found herself almost literally buried in her love of succulents (there are photos on her Instagram account to prove it). 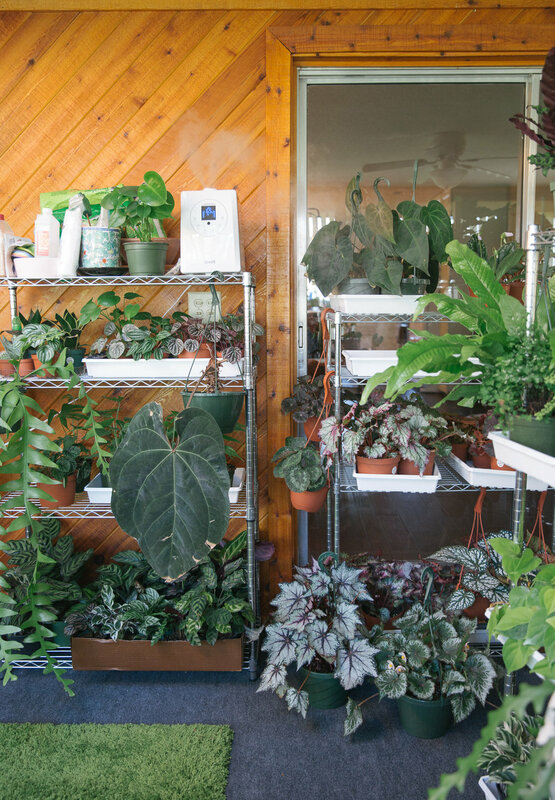 She eventually found herself selling off plants to make room for new ones, while also trying to keep her small space from turning into a full-on greenhouse. That began about two years ago, and a business took off unexpectedly as many people started coming to her for their plant needs. 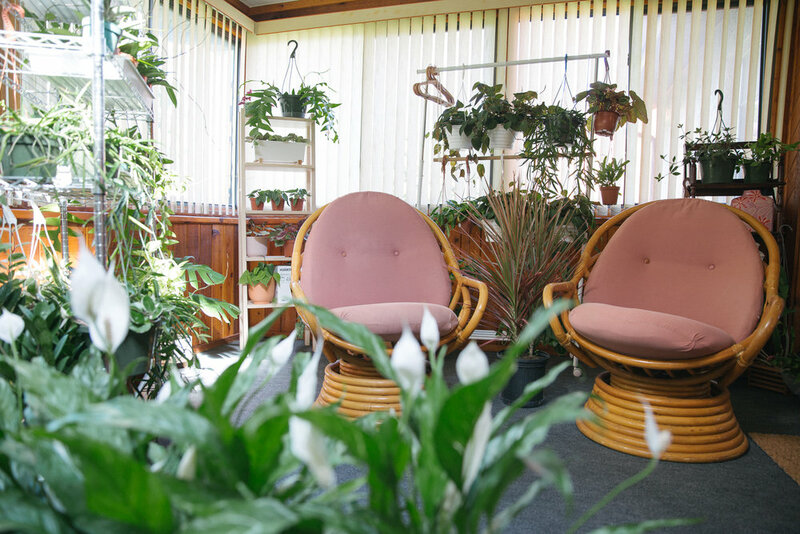 That small business has now grown into Land of Alice, as she travels to markets around the state, selling directly through her Etsy store, and now opening the beautiful retail space in her sun room as a place locals can come buy plants directly from her. If you find it odd to come shop in her home, she understands if some may be hesitant and she tries to take precautions as well for her own safety. She suggests coming out to meet her at one of her markets first. Her regular schedule right now consists of the Winter Garden Farmers Market on Saturdays and the Downtown Orlando Farmers Market on Sundays. She enjoys building a relationship and rapport with clients so they feel at ease coming to her regularly on their own schedule. For those who want to come see her they are always welcome to bring friends along with them. She takes appointments via direct messages on Instagram and tries to be flexible Monday thru Friday. She also lets customers use her potting soil and supplies if they wish to bring their own pots (she sells some as well) and plant what they buy. Also available in her space are macramé hangers that her mother-in-law makes that you can purchase as plant hangers or decor. She sources all her plants locally as she visits different wholesale nurseries around Central Florida. Prices on her Etsy store can range anywhere from $9 - $50, and in her retail space it can go lower as she sells succulents that she doesn’t list on Etsy. She does urge locals who want to purchase from her to buy in person rather than online since it’s cheaper for them, but she absolutely does ship plants and has plans to offer a delivery option at some point for orders that meet a minimum requirement and are local. If you are looking for something specific that she doesn’t have on hand she will do her best to fulfill the request for you. The hustle doesn’t stop there, as she also works with local businesses like Craft & Common and Naked Bar Soap Co. to bring their retail spaces to life with her plant decor. I can tell you that nothing feels quite as Florida as a brightly lit sun room filled with tropical plants and a shuffle board court in the distance outside the windows. Add a cup of freshly made Cuban coffee and it’s kinda magical. Follow her @landofalicestudio on Instagram. All images are property of LemonHearted Creative and cannot be used in print or digital content without permission.